The world has come a full circle, it seems. Once the champion of globalization, the United States is emerging as the undisputed champion of protectionism to insulate its fledgling industries from the emerging superpower. The melting pot is on the boil, thanks largely to the heat from Mexico and is preparing to build a wall along the Mexican border to prevent the entry of multitudes from far and wide into its territories. On the defense-security front, the universal policeman has begun to focus increasingly on homeland security. The US under Donald Trump is making it increasingly clear to fellow NATO members that defense-security services won’t come for free. In an albeit late awakening, the United Kingdom has also come to know that increasing influx of people resulting from increased interconnectivity can pose a serious threat to national security apart from denying employment to its own citizens. That’s why it’s opting for the Brexit. In this context, a regional bloc called Bay of Bengal Initiative for Multi-sectoral Trade and Economic Cooperation (BIMSTEC) is trying to make its presence felt in South and Southeast Asia under the leadership of a ‘cuddly elephant’ that is, at least, partly to blame for the utter failure of the South Asian Association for Regional Cooperation (SAARC). It will be quite interesting to note what’s going on in the immediate neighborhood and the BIMSTEC region. Myanmar, a BIMSTEC member, does not seem to be at peace with itself and the neighborhood. The flight of the Rohingyas from the Buddhist-majority country, in the wake of a conflict, is causing stress not only in neighboring countries like Bangladesh and India, but also in Nepal, a country that shares borders with not only two most populous countries of the world but also has been a passive recipient of refugees from around a dozen countries despite its weak absorption capacity—thanks to a spineless political leadership and increasing international pressure in a post-conflict scenario. In the world’s largest democracy, which is not just another BIMSTEC member, a prominent a debate is raging about who are its citizens and who are not. The fate of four million people is at stake in the state of Assam, which is home to the ethnic Assamese, Muslims, including the Rohingyas driven out from Myanmar (however temporary the shelter may be), Bengalis, Biharis and our own people, who migrated ages ago, teaching local populations how to farm and raise cattle. Presently, public outrage is against the Rohingyas, but it’s not uncommon for passionate debaters to vent fury on peoples of Nepali origin through different media. This sea of humanity, within a certain timeframe, will have to prove to the largest democracy that they are not aliens but its true citizens (nowhere in the world, save in Nepal, do they provide citizenship certificates through mobile camps, it appears). Already, there are fears that a large number may not be able to prove that the largest democracy is their home. As if the already brewing crisis were not enough, the ruling Bharatiya Janata Party is demanding introduction of the National Registration of Citizens in West Bengal and other states. This exercise may end up rendering a huge number of people stateless. Where will these godforsaken people go after receiving the ‘stateless’ tag from the largest and the most happening democracy? This open-ended question should set off alarm bells for Nepal, which shares open border with the largest democracy. In the past, the largest democracy has used this flimsy border to drive more than one hundred thousand evicted Bhutanese citizens of Nepali origin into Nepal from its territories, with fatal consequences at the Mechi Bridge. Already, Nepal is coping with unchecked influx of people from Uttar Pradesh and Bihar, even as it continues to struggle to provide jobs to its own citizens. Result: A shop owner in your locality may be from the largest democracy, so may be the hairdresser, the fruit-seller, the electrician, the mason, the big businessman and the mechanic. So may be the inhabitants of tents set up by the roadside of the national capital or some other nook and cranny of the country. Despite chronic political instability and a small job market, Nepal has been providing employment to multitudes that come from the largest democracy, as one of its 10 major sources of remittance. Our rivers contribute around 70 percent to the Ganga, even during the lean season, not to mention huge benefits the largest democracy draws unilaterally through water regulatory and flood control structures that it has built, in cases, just yards away from the international border in blatant violation of international practices, causing us untold miseries. It’s a different matter altogether that a thankless media from the largest democracy ignores such a huge contribution from a relatively smaller neighbor and often accuses it of harboring criminal and terrorist elements (our side of the border may be open, but the other side is pretty much regulated and this country is, apparently, under a watchful gaze of security/intelligence personnel from the largest democracy). Given this, why cannot these personnel, which never get tired of encroaching upon bordering Nepali territories and committing atrocities against innocent Nepalis, prevent the entry of nefarious elements into Nepal, via land or air? On the other hand, there’s no denying that the largest democracy has been providing jobs to a good number of Nepalis as well. 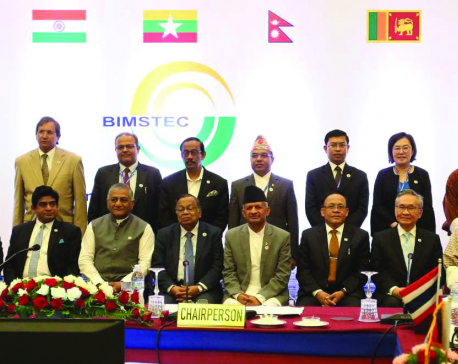 BIMSTEC member-states like India, Thailand, Sri Lanka and Bhutan are at relative peace. But it will be wrong to say that all’s well when it comes to ties between Nepal and Bhutan, Nepal and India, and Myanmar and Bangladesh. Bilateral tensions may come into play and render the grouping comprising the region that accounts for 22 percent of the global population, a combined GDP of $2.8 trillion and some of the world’s largest untapped natural resources of gas and other seabed minerals, ineffective. Already, there are apprehensions that increased interconnectivity, even if it becomes a reality, may not benefit Nepal much. Environmentally insensitive development activities are already wreaking havoc on fragile mountains and one can easily guess what impact increasing movement of vehicles from far and wide, facilitated by the Motor Vehicle Agreement, will have on our weak infrastructure. 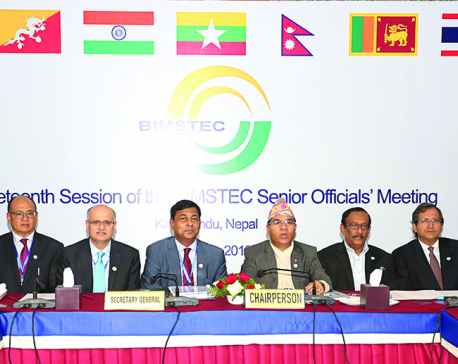 There are talks of trading in hydropower with other BIMSTEC members. But countries get richer by using electricity for industrialization and dependency on fossil fuel rather than by opting for cheap export. A security-sensitive and instability-plagued Nepal also fears that increased interconnectivity may be used to transfer populations from war-torn regions. If that happens, the ‘yes man’ of South Asia, which has the tendency to sign on any deal under pressure at the expense of its core interests, will be at the receiving end, once again. 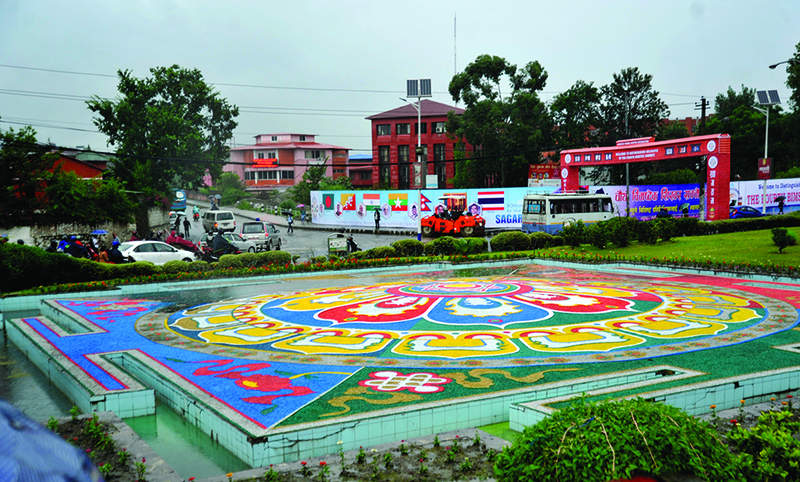 As Nepal is hosting the BIMSTEC Summit in Kathmandu, let’s hope that this grouping will not have the fate of a chopped banana tree ‘planted’ at Maitighar Mandala for decorative purposes. Let’s hope the summit will make way for not only countering terrorism, enhancing regional connectivity and boosting trade, but also for the creation of a world order that is more just for smaller yet more easily manageable countries like Nepal. 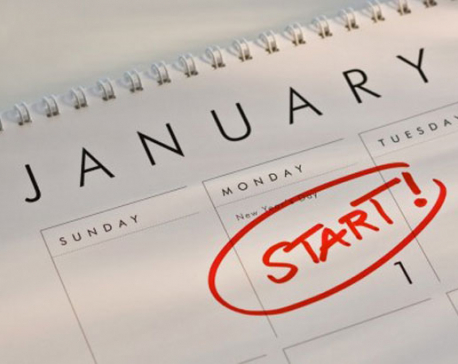 That’s expecting too much, but what can we do save strive, hope and dream?